A Federal High Court sitting in Lagos has convicted three persons for defrauding a burea de change owner of $1.5million, thereby sentencing them to a jail term of 24 years collectively. 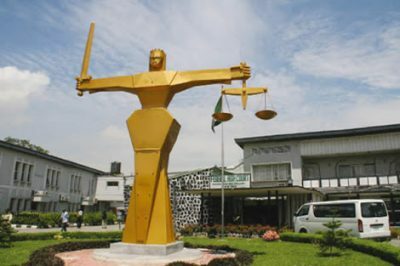 The presiding judge, Justice Ibrahim Buba recently sentenced the three accused persons to 24 years after establishing prima facie case against in a charge marked with FHC/L/331C/2015. The judge sentenced the first defendant Anita to a jail term of 10 years while the second defendant, Hassan and third defendant Iniunam bagged seven years each without option of fine. He ordered the first defendant Umem Anita to refund $1 million to the victim as restitution. He, also, ordered that the two companies used for the fraud should wound up and their assets fortified to the Federal Government of Nigeria in accordance with section 1(3); and 10(2) of the advance free fraud and other fraud related offences act, 2006. During the trial, the prosecutor and the officer in charge of SFU legal department, Emmanuel Jackson explained that the fraud issue began sometime in 2014, when Dashad Bureau De Change Company Limited needed dollars for its customers. When contacted by the managing director of the company, one Alhaji Taiwo, the suspects claimed they had the dollar equivalent of the naira he wanted to change. When the rate was agreed on, the suspects promised immediate delivery once the naira equivalent was received. Consequently, the victim paid N800 million to the suspects for the equivalent of $1.5 million. After payment was made, it turned out that the suspects did not have any dollars as claimed. When he pressured them, they used his money to source for $500,000 dollars in black market which they paid to him and thereafter made away with the balance of $1million. The victim reported the case to the police and upon tracking them, they were charged to court for conspiracy and obtaining money under false pretence.